On Saturday-Sunday February 9-10, the Peggy Kirk Bell Girls’ Golf Tour will play the 2019 Orange Whip Classic at the Walker Course at Clemson University in Clemson, SC. The event, presented by Orange Whip Golf, brings the Tour to a top-level Division 1 collegiate course and the home of the Clemson University Women’s Golf program. The Orange Whip Classic is the first event in the 2019 season to bring together all three national divisions of play. Players will compete in one of three divisions: Bell National at 5,934 yards, Prep Preview at 5,751 yards, and Futures National at 5,134 yards. With a field of 73 competitors traveling from eight different states, we take a look at the players to watch at this year’s event! Headlining the 33 player Bell National field is Catie Craig (Sautee Nachoochee, GA 2021). Craig enters the tournament as the highest ranked player in the field on the 2019 Bell National Order of Merit, currently in third place. 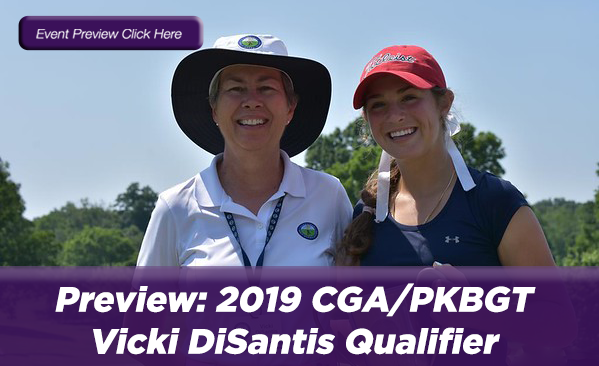 She is ranked 18th on the PKBGT Performance Index, and her best performance came at the PKB Junior at Pine Needles with a T6 finish. Sara Im (Duluth, GA 2023) enters the event as the highest ranked player in the field on the PKBGT Performance Index. Currently ranked 12th, Im’s lone tournament of the 2019 season came in the Tournament of Champions at Pinehurst No. 8 where she finished in fourth place. 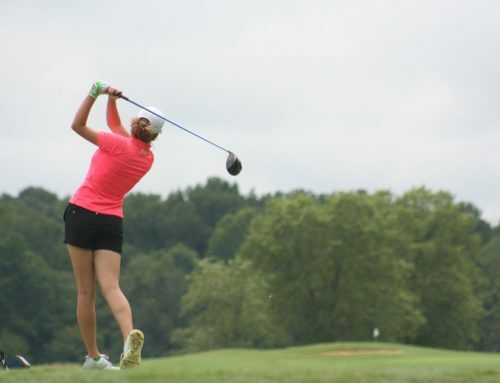 Entering the tournament ranked eighth on the Bell National Order of Merit, Vynie Chen (Centreville, VA 2020) competes in her fifth event of the 2019 campaign. Her top performance came last weekend with an eighth place in the PKB Foundation Classic at CCNC (Cardinal). 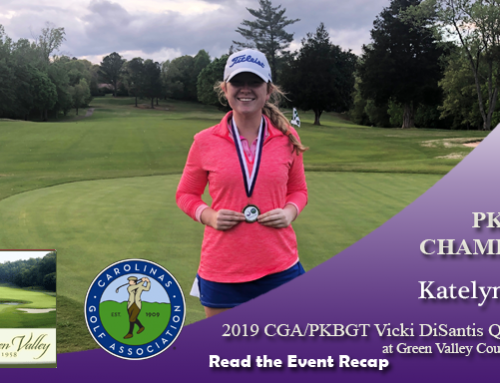 After winning the 2019 Eagle Classic at Georgia Southern University, Katie Scheck (Greensboro, GA 2021) looks to continue her success in Clemson. The Orange Whip Classic will be her second PKBGT National event of the season. 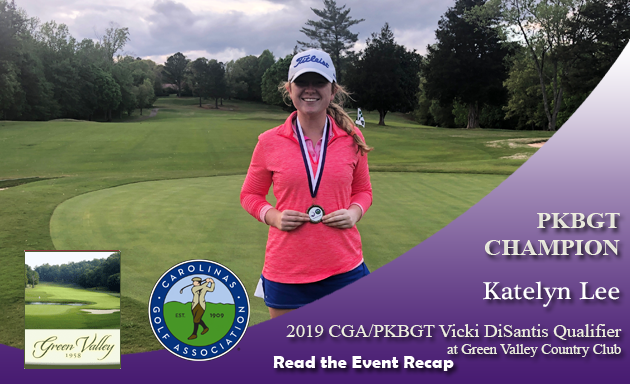 Likewise, Macie Burcham (Greensboro, NC 2021) looks to feed off of her momentum after finishing in fifth place at last weekend’s PKB Foundation Classic at CCNC (Cardinal). Her first year in the Bell National Division is off to a strong start, and she looks to continue the trend in Clemson! The 23 player Prep Preview field promises to be a tight competition, led by Grace Holcomb (Wilmington, NC 2021). 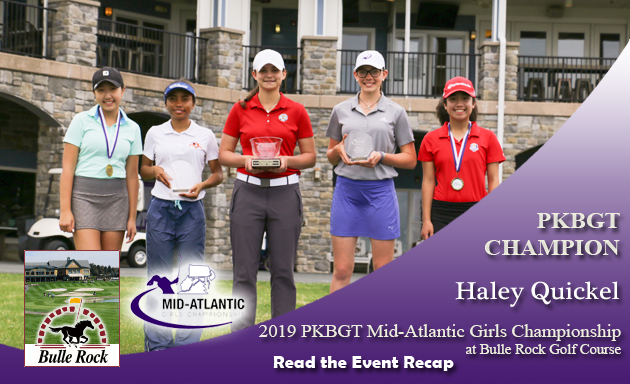 Holcomb, who currently sits in first place on the 2019 Prep Preview Order of Merit, won her lone event in this division at the Tournament of Champions in early January. Having spent the majority of her 2019 season at the Bell National level, Holcomb’s return to Prep Preview serves as an opportunity to solidify her position atop the OOM. Autumn Carey (Manning, SC 2022) hopes to challenge Holcomb for the top spot, currently in a tie for second on the Prep Preview Order of Merit. Carey finished in third place at the Tournament of Champions, her lone Prep Preview event of the season. 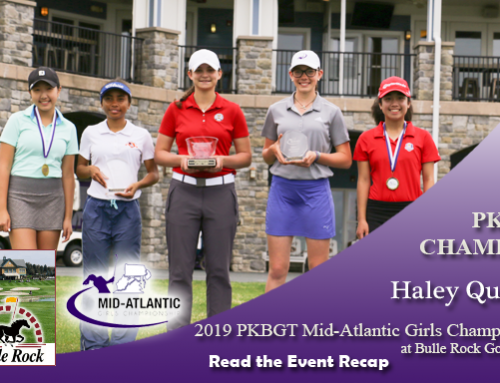 Since then, she finished in the top ten of the Bell National field in two consecutive events including last weekend’s PKB Foundation Classic at CCNC (Cardinal). Competing in her second event of the 2019 season, Madison Lynn Dixon (Inman, SC 2023) sits in a tie for fourth place on the Prep Preview Order of Merit. She finished in fourth place at the Tournament of Champions at Pinehurst No. 8. Abby Franks (Roebuck, SC 2023) is the other individual in the tie for fourth place on the Prep Preview Order of Merit. Franks, also competing in her second event of the season, finished in fifth place at the Tournament of Champions back in early January. Making her first Prep Preview appearance of her career, Abby Hunter (Blacksburg, VA 2021) looks to carry her success from her 2019 Futures National performances to the next level. Hunter won the PKB Junior at Pine Needles in December and finished in fifth place at last weekends PKB Foundation Classic at CCNC (Cardinal). The 17 player Futures National field features Sophie Lauture (Raleigh, NC 2024) who is currently in fifth place on the 2019 Futures National Order of Merit. Lauture’s best finish of the season came at the 2019 Eagle Classic at Georgia Southern University with a fourth-place finish. The Orange Whip Classic will be the second tournament of the 2019 season for Bethany Welch (Matthews, NC 2023). Welch finished in eighth place at the Palmetto Dunes Resort Classic in Hilton Head Island in November. 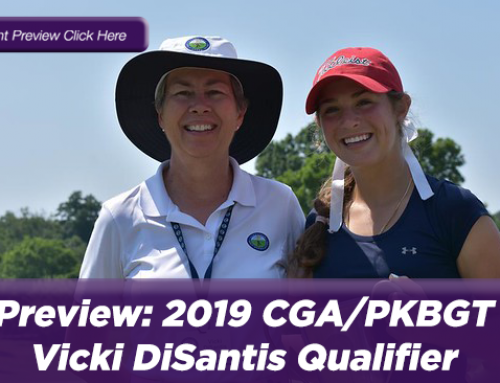 She took part in the 2019 Linville Cup at Mid Pines Inn and GC and looks to make a splash at Clemson University. Abigail Cheney (Guyton, GA) competes in her second event of the 2019 season. Cheney finished in sixth place at the 2019 Eagle Classic at Georgia Southern University. 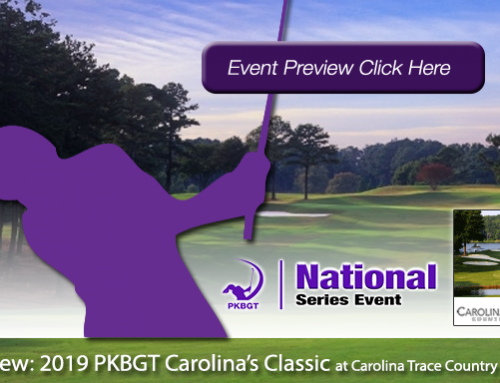 Orange Whip Golf, the #1 training aid in golf, joins the PKBGT for a second year as the presenting partner of the PKBGT’s Classic at Clemson University. Created by PGA Teaching Professional Jim Hackenberg, the Orange Whip Golf Trainer was designed to revolutionize the philosophy of the golf swing and improve tempo, flexibility and core strength. Rated the number one golf training aid by PGA.com four years in a row, Orange Whip designed a full line of products to improve every club in your bag. We are thrilled to have Orange Whip’s support of the tour and junior girls golf as we head into the classic next weekend! We wish all of our competitors the best of luck in Clemson! 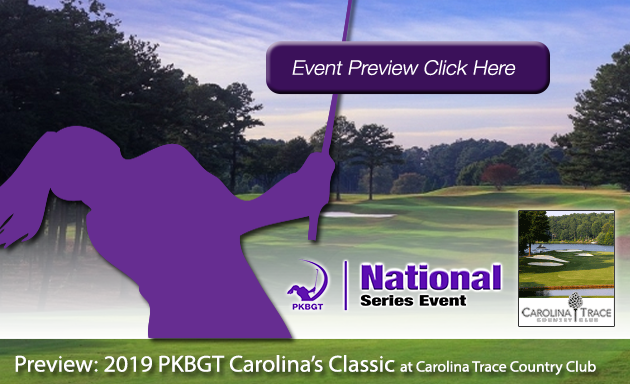 A highly competitive field in all three divisions promises for an exciting weekend of golf at the pristine Division 1 facility in the Walker Course at Clemson University.